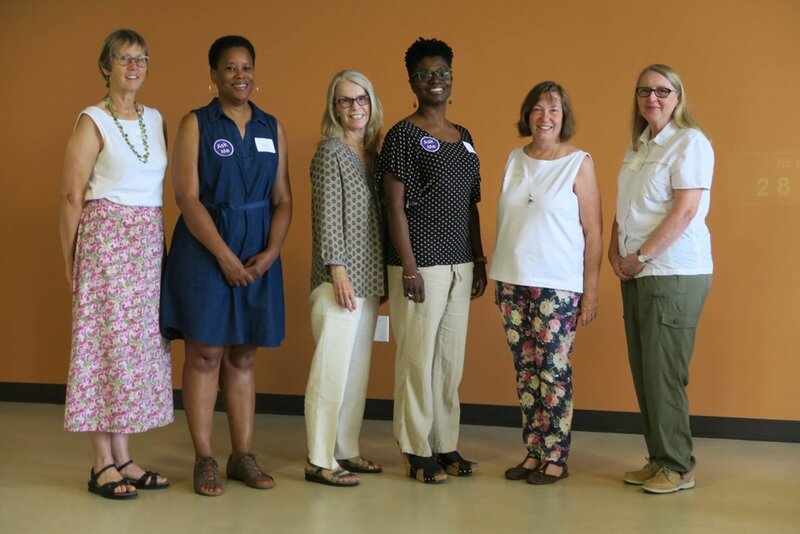 On Sunday, July 22 Fair Districts GA held a forum on the Supreme Court and gerrymandering. The event drew over 100 concerned citizens who learned about the latest gerrymandering decisions and what we can do to stop partisan map rigging in Georgia. "I still favor putting reforms into law because you never know who is going to win an election." -- Elena Parent. The term "political thicket" refers to a warning issued by Supreme Court Justice Frankfurter to his fellow justices in Colegrove v. Green 328 US 549 (1946). "[c]ourts ought not to enter this political thicket. The remedy for unfairness in districting is to secure State legislatures that will apportion properly, or to invoke the ample powers of Congress." In Baker vs Carr, decided in 1962, the justices rejected Frankfurter's caution, entering a decades-long sojourn to try and craft a solution to the widespread problems resulting from gerrymandering. The Supreme Court has yet to settle on an answer to the detrimental effects of partisan gerrymandering. Recent Supreme Court cases on gerrymandering have failed to demonstrate a sufficient combination of facts and legal issues to yield a reasonable framework. Carter is an attorney and former state senator in Georgia. He was the Democratic nominee for governor of Georgia in the 2014 election. He is currently a partner at the law firm of Bondurant, Mixson & Elmore in Atlanta. Fred Smith, Jr. is an associate professor at Emory University School of Law. He is a scholar of the federal judiciary and constitutional law. Smith clerked for Judge Myron Thompson of the middle district of Alabama; Judge Barrington D. Parker, Jr. of the US Court of Appeals for the Second Circuit; and Justice Sonia Sotomayor of the United States Supreme Court. Parent is the Senator representing Georgia district 42 which includes portions of central and north DeKalb County. She previously served in the Georgia House of Representatives, representing District 81. She is the former Executive Director of Georgia Watch, the state’s leading consumer rights non-profit. Sean J. Young is the legal director of the ACLU of Georgia. He formerly served as senior staff attorney for the ACLU’s Voting Rights Project at the organization’s national office in New York. Since joining the ACLU of Georgia, he has been active in litigating cases involving the First Amendment, voting rights, criminal justice, immigrants’ rights, women’s rights, and other civil rights and civil liberties issues..
Panel discussion of questions from the audience. Volunteers assisted us in staging this event. Before opening the doors to the forum the members of Fair Districts GA gathered for a photo. "To prove something is a partisan gerrymandering you look at it ... we know it when we see it right? But that's not a standard ... we have to prove a violation of the First Amendment ... " -- Jason Carter. "If you say you can’t use partisanship any more, people will stop saying they are using partisanship." -- Fred Smith. "If any proposed bill or amendment does not have one of these three prongs the ACLU of Georgia is not going to support it …. Enforceable standards…. Transparency …. Who draws the maps."